IMMEDIATE OCCUPANCY LAST AVAILABLE SPONSOR UNITResidence N2 is a 1,418 SF two bedroom/two bath apartment with approximately 10 ceilings with custom-crafted floor to ceiling metal-framed Belgian windows that bathe the gracious living spaces in natural light while expertly crafted wide plank, rift white oak floors create elegant interiors with a modern flair. The open kitchens are chic yet functional. A clean, modern aesthetic is achieved with handcrafted cabinetry, Calacatta Lincoln Marble counters, and perfectly matched backsplash; while a Wolf 5-burner cooktop, Miele dishwasher, and Sub-Zero refrigerator will delight any chef. The master bathroom features Pacific White Marble with Nero Marquina marble trimmed flooring echoed by a slab marble countertop. A separate glass-enclosed shower and a relaxing soaking tub with Waterworks fixtures complete the spa-like retreat. The second bath further infuses the home with luxury featuring white mosaic marble flooring, a custom Tabu wood vanity accented with Waterworks fixtures and polished Pacific White marble and a Kohler soaking tub.A discreet, boutique condominium comprised of only 11 exclusive residences, 204 Forsyth integrates the rich history of the Lower East Side with timeless design and thoughtful details crafted by Paris Forino Interior Design. 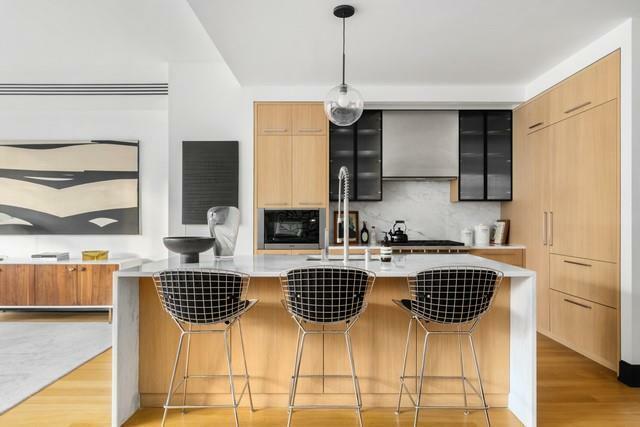 The meticulous homes range from 2 bedroom half floor residences to a full floor penthouse featuring a private roof deck of over 2,000 square feet with views of the Chrysler Building, the Freedom Tower, bridges to the East and all of downtown to the West. Forsyth amenities include a 24 hour doorman, fitness center, and private storage. Located on the Chrystie-Forsyth Street corridor, 204 Forsyth is central to all of the best restaurants and shops the Lower East Side has to offer. 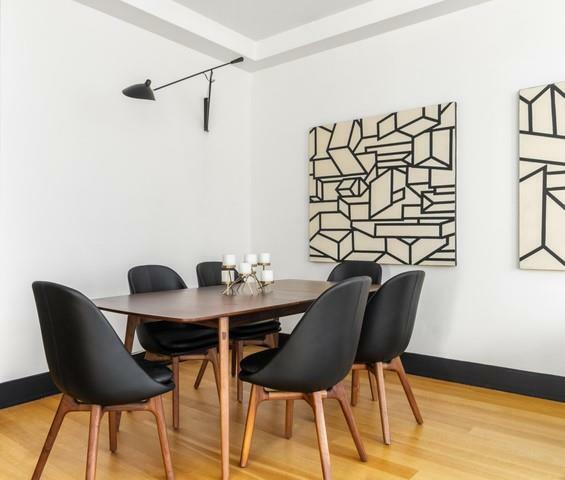 Similar to the building itself, the neighborhood is a perfect fusion of classic and modern with notoriously innovative restaurants, undiscovered art galleries from Orchard Street to the Bowery, and hidden boutiques dotting the neighborhood. Soho House on Ludlow Street along with Ian Schrager's Public Hotel directly across the park from 204 Forsyth is a harbinger of the neighborhoods emergence as the epicenter of creative literati. All dimensions and square footages are approximate and subject to normal construction variances and tolerances. Plans and dimensions may contain minor variations from floor to floor. Sponsor reserves the right to make changes in accordance with the terms of the offering plan. The interior and exterior decorations and furnishings are provided for illustrative purposes only. The complete offering terms are in an offering plan available from the Sponsor. Not an offering where prohibited by law. File Number CD14-0246. Equal Housing Opportunity. 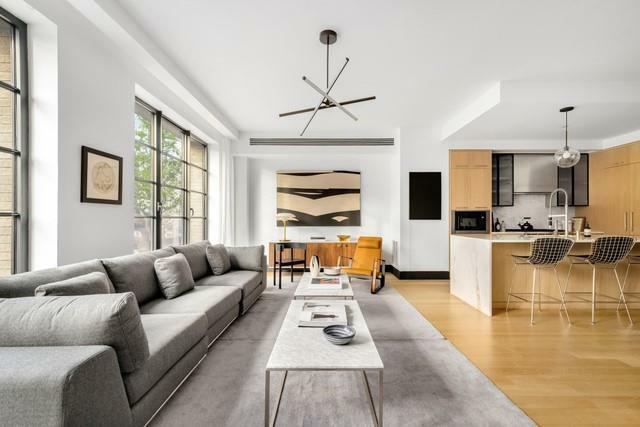 Listing courtesy of Stephen Ferrara of Compass.